Oily Reading: Book Nerds Unite! it is truly an incredible time to be alive! Most everyone these days is walking around with a computer in their pocket or purse. We have FREE INFORMATION at our fingertips 24/7! I do try to limit the time I spend on my phone, but I bet I spent close to an hour every single day READING up on something that I was curious about. NOTHING compares to the joy of having a good print book in my hands! Here are a few GREAT oily reads that I have picked up over the past few months. This is a GREAT reference for the little people in your life. 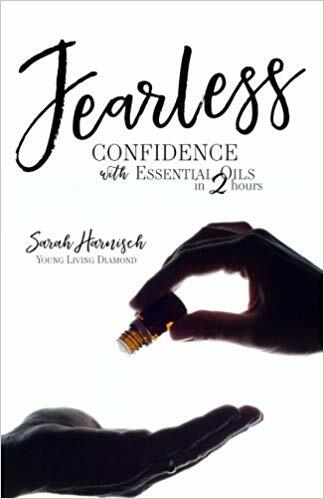 There are times to be cautious using oils with our babies and children and this book is full of some great information about that, as well as some wonderful recipes and tips for using your oils on the tiny humans. 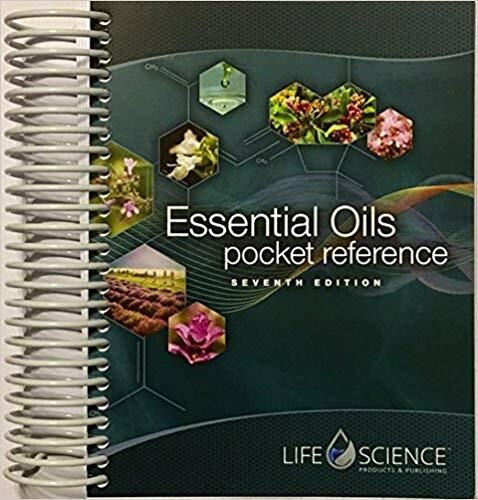 This is similar to an app that I have called "Reference Guide for Essential Oils". It's a great little reference book for ALL THE THINGS you might need an oil for, I highly recommend it!! Out of all the books about essential oils that I have bought, this one is my FAVORITE!! 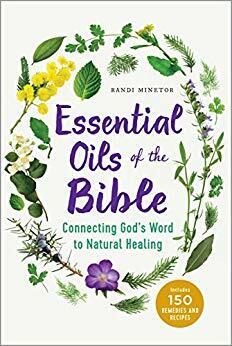 This book is so interesting and tells all about the specific oils that are mentioned in scripture, as well as how to use them right now in modern times. If you're interested in knowing more about the gifts of natural remedies given to us by God, I highly recommend this one! 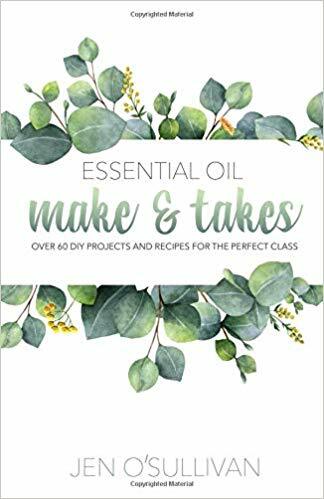 This book is an EXCELLENT resource if you're looking for "Get Crafty" ideas to make things with essential oils!! It is also excellent if you're looking for ideas to use in your Young Living business for in person make & take type classes. A quick read for anyone interested in turning their starter kit into a business. This would be a good book to send to your team members who have expressed interest in taking it to the next level. 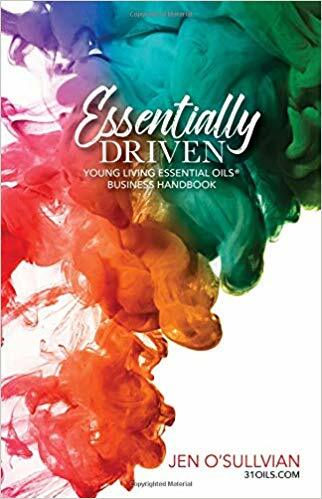 I bought this book in early October, just weeks after making the decision to build a business sharing my love for these essential oils! 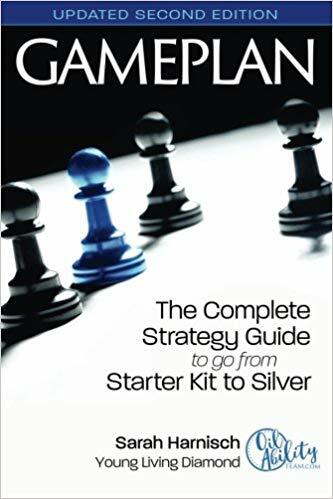 Two months after reading this book I personally went from starter kit to senior star!! If you are interested in doing the business side of Young Living, GET THIS BOOK!! Another Sarah Harnisch must have! 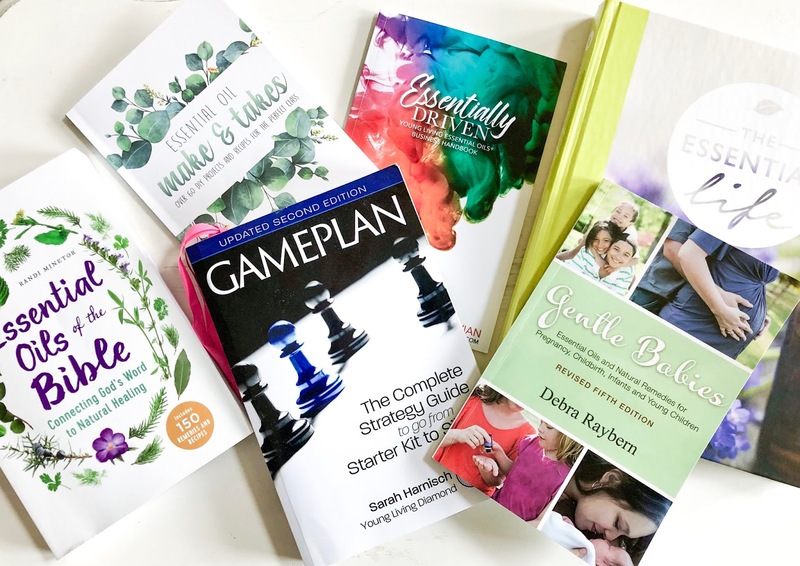 This is a short book for anyone who has just bought their starter kit & is feeling overwhelmed about what to do with it! I have sent this book to several new members who were scared to death of their new kits! Sarah Harnisch is awesome!! I admit, I was hesitant to buy this book because I certainly did NOT want my kids to see it sitting on my nightstand (have mercy). 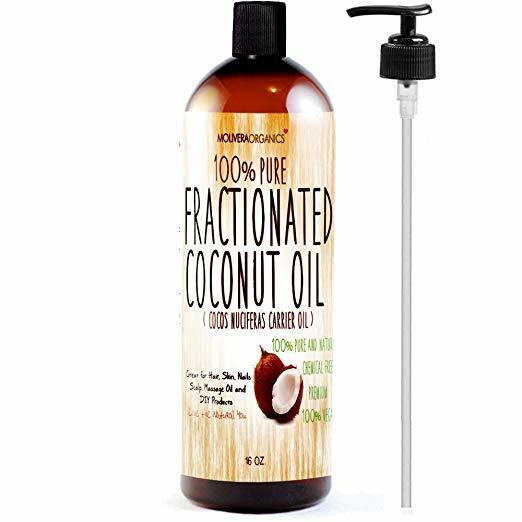 I purchased it because I had seen so many people talk about the information in it regarding BALANCING HORMONES NATURALLY using essential oils. That's a another post for another day, but I will tell you I am SO GLAD that I bought this one! The information I gained has been a GAME CHANGER FOR ME!! 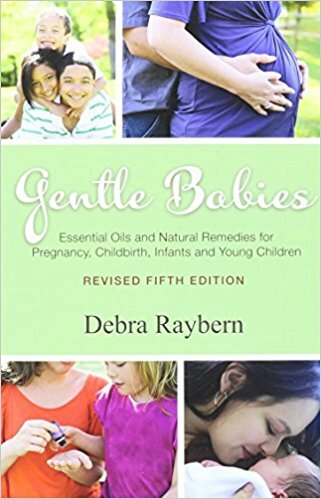 There is also another Lucy book that is popular, but I have not read: Betsy Bosom's Baby Book (a Girlfriend's Guide to Using Essential Oils from Bellies to Babies). 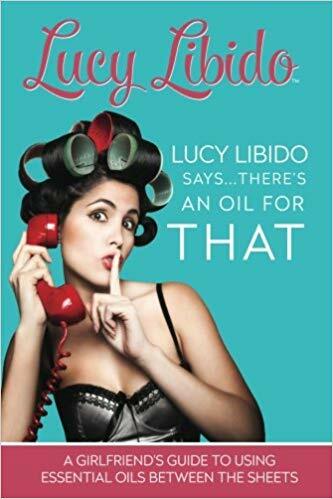 If it's anything like the Lucy Libido book, it's worth checking out! Well, that's all the suggestions I have right now. I will for sure share again after I have picked up a few more. I do love to read and learn new things every day! Do you have an favorite oily reads? I would LOVE to see your recommendations!! Welcome to my very first GET CRAFTY blog post for The Crafty Oilers site! 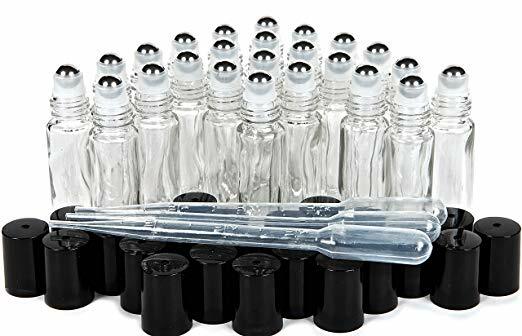 Today we are going to talk about Roller Bottle Blends!! I love to make my own roller bottle blends! I use them personally, I roll them all over my family, I sell sets of them sometimes, and quite often I will pull one I use personally out of my purse and give it away to a friend who needs it. they are ridiculously EASY to make! After your oils have been added fill your roller bottle up to the top using the carrier oil of your choice (see my favorites details below). Secure your top in place & you're ready to roll! When you run out, just wiggle the roller tip top off & fill it back up again!!! Roll this on the bottom of your feet, up & down your spine and on the back of your neck. Roll this on the bottom of your feet, on your chest & neck (front & back) and a little dab on the tip of your nose. Roll this on the bottom of your feet, inside your wrists, on your neck (front & back) and behind your ears. I also roll this blend on my cuticles for support for stress AND healthy nails. 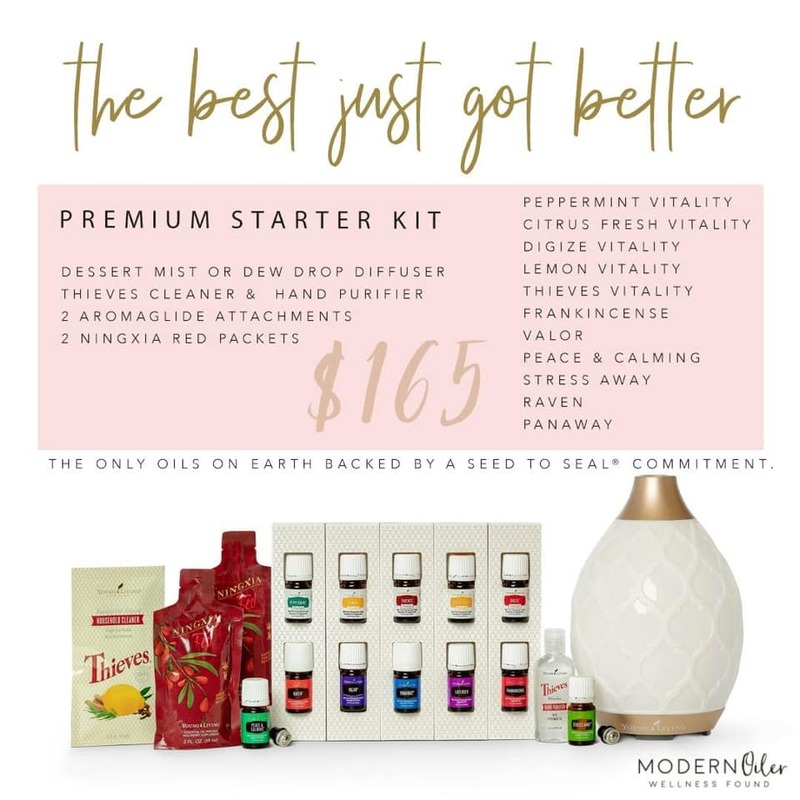 Did you notice how many of those oils are included in the Premium Starter Kit? That wellness toolbox is full of goodness!!! You can find more roller bottle blends by following my Crafty Oilers board on Pinterest, you can also follow my Instagram for oily tips & recipes as well. Don't have a Premium Starter Kit yet? Click this link or message me and I will send you step by step instructions. The following items are products that I have purchased, use personally & recommend to my friends. Clear Vivaplex with stainless steel balls. These are the best ones that I have used!! I also love the Vivaplex Cobalt ones as well. 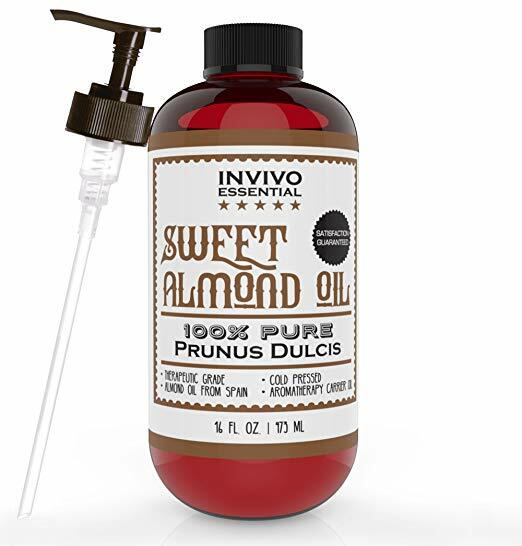 These are really pretty & very popular right now, but the balls are tight and the oil does not come out as freely as those other two I shared above. Some people love this because your roller lasts longer. Something else that I LOVE to do is recycle my empty oil bottles and reuse them as roller blends! I wash my empty bottles & run them through the dishwasher, then I use Lemon Essential Oil to remove the sticky label. Young Living sells these in packs of ten, let me know if you would like to order some. Thanks for stopping by to Get Crafty with me, friends! I'll be back to talk about making some SOAP using essential oils soon! The last time the Young Living Premium Starter Kit was updated was in 2015, it was an exciting time! That kit has served us SO WELL a first introduction to the oily lifestyle. 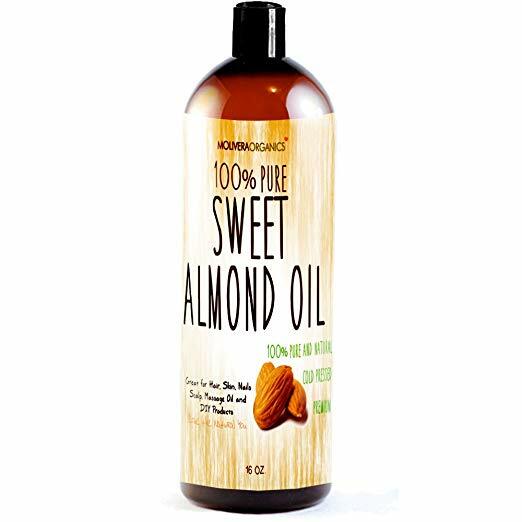 It has helped get oils into SO many new homes. And now in 2019, kit is changing again! This time, it's a HUGE UPGRADE! The price of the kit has increased $5, but Young Living has added $90 worth of MORE products!!! Back in 2015, Valor and Peace & Calming, two of Young Living's most famous and sought-after oils, were removed from the kit due to sourcing issues and sustainable, ethical farming practices. - It's one of the most popular scents. - Promotes LESS snoring by putting 1 drop on the big toe! - Promotes feelings of bravery. We all get scared or anxious sometimes, this is an oil for EVERYONE! Mamas, this one is awesome diffused at night for kids who struggle with fear at bedtime...also think: first day of school, dance recital, big soccer game, test-taking days, trying something for the first time, airplane flights, new daycare or church nurseries, anything where an anxious heart could use a little help. - Helps with occasional soreness! Runners, swimmers, pogo-stick jumpers, this one's for you. Add it to some PanAway and Copaiba....it's SO good. 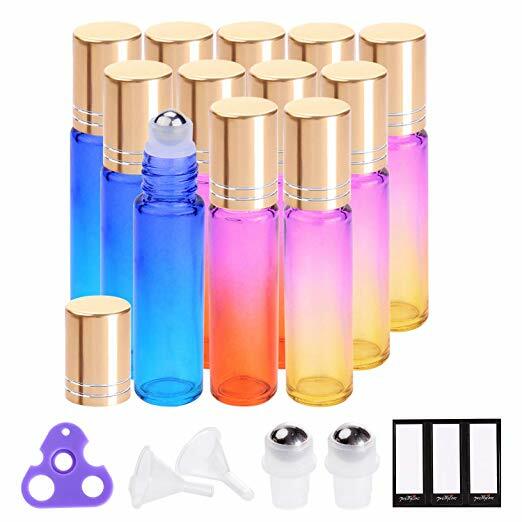 In addition to those Peach & Calming and Valor Oil Blends, the upgraded 2019 Premium Starter Kit also includes some extra goodies! - Underneath your oil tray, there is now a Thieves Hand Purifier with the Ningxia Packets, Thieves Cleaner Sample AND Stress Away. Also underneath the tray of oils is TWO roller fitments and the Peace & Calming. - Also now included is a New lifestyle booklet to get new members started off on the right track! You are going to LOVE this publication!! 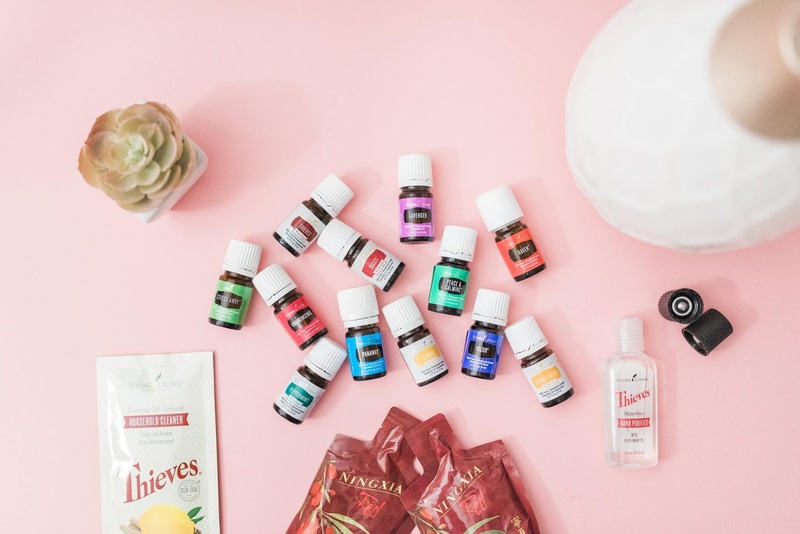 With the new design of the kit, extra goodies and adding the elite Valor and Peace & Calming (giving you now 12 oils in the kit), that's an increased value of $90!!! Total, the kit is now worth over $400. ALL THAT EXTRA VALUE, and the price is only increasing $5. Price of the new kit: $165!!! Ready to grab your upgraded 2019 Premium Starter Kit? I’m Mandy, The Crafty Oiler. This past year I decided to begin another new adventure as a Young Living Independent Distributor and team leader. 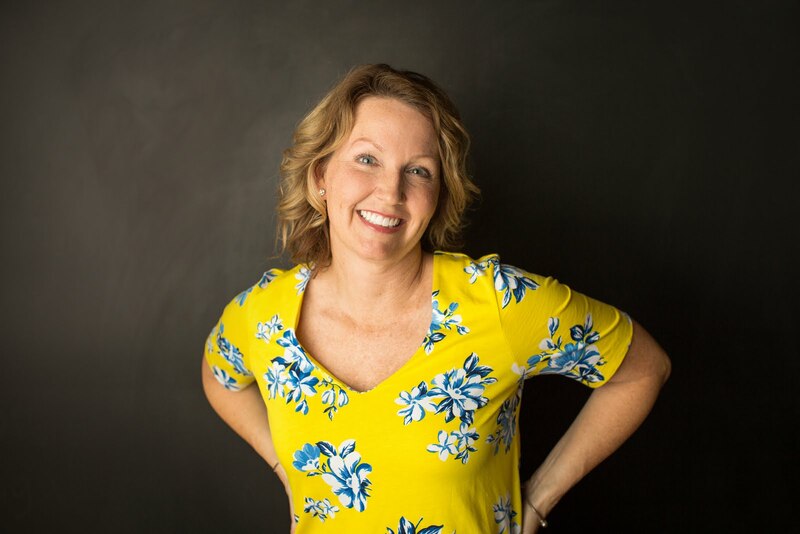 To help make it easier to reach people about the amazing benefits of essential oils and working with this fabulous company, I have branched out from being The Crafty Southern Mama and added The Crafty Oiler to my resume. When I bought my Young Living premium starter kit three years ago, I bought it to get a discount on my oils...period! I actually even said I don’t like MLM companies & I was NEVER going to be interested in doing the business side of this company. 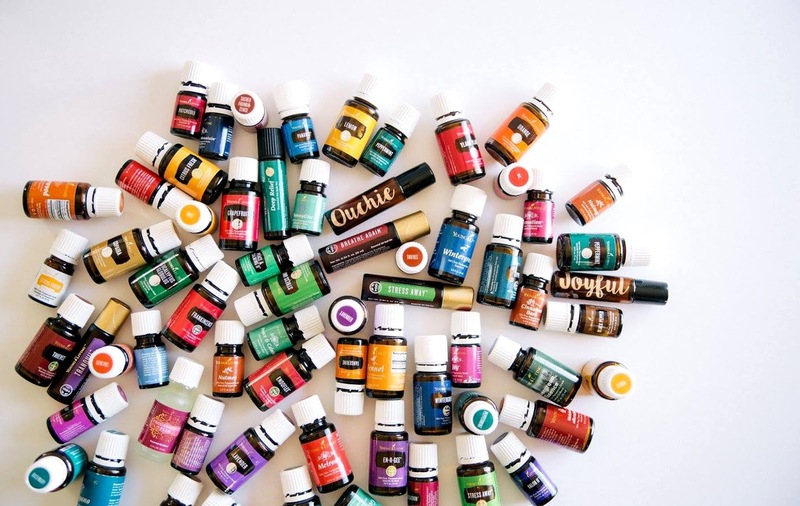 As a matter a fact, if you had told me back in 2016 when I bought that Young Living Starter Kit that I would be TEACHING essential oils classes, I would have thrown my head back and laughed out loud! But, have you ever noticed what happens sometimes when you say the word NEVER! I am a busy wife & mama of three great kids, four crazy dogs, a few cats & a rabbit...I'm just trying to do the very best that I can to keep my busy family healthy. Serving others is important to me. I'm a helper by nature and after three years of slowly realizing the full amazing benefits of these essential oils, it's only natural that I want to help other people realize it too! I still don’t like MLM companies, but I LOVE being a part of the Young Living family and helping people live their very best, healthiest life! This website is about sharing. I'm just here to share why these oils are so important to me. 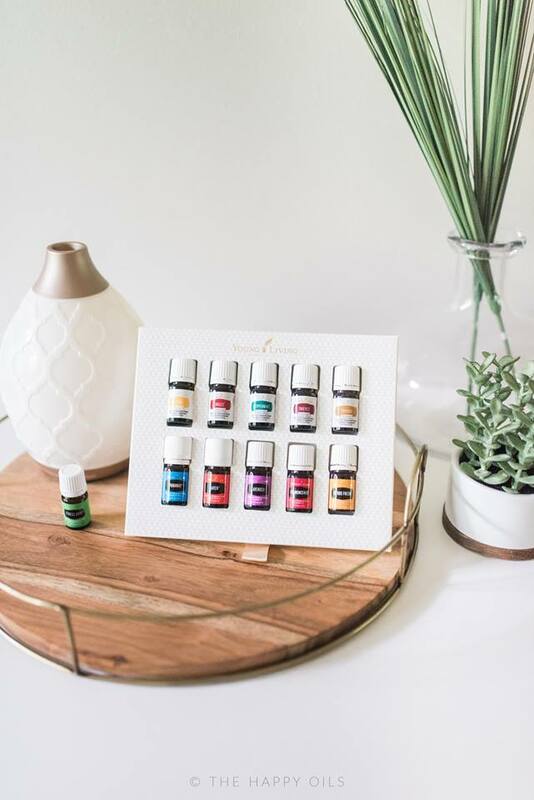 Grab some coffee or a glass of wine and let's spend some time together learning about how essential oils can help you & your family stay healthy & well all year long! Please contact me anytime with questions or click this link to begin your Young Living Essential Oil journey, I'll be with you every step of the way! I am not a medical professional, and cannot treat, cure or diagnose you. This information is for educational purposes only. Always consult a doctor first. I am simply here to share some of the wonderful and amazing ways Young Living Essential Oils have helped my family to be healthier and happier! What Are Essential Oils and How Do They Affect Our Bodies? Essential oils are the most powerful part of the plant. They are the aromatic liquids found within shrubs, flowers, trees, roots, bushes, resins, and seeds. Some people like to call essential oils “nature’s living energy” because they contain unique constituents that provide a host of benefits. The easiest and most simple way to explain it is to think about when you see a rosemary plant (or any plant), and you take the leaves and rub them between your fingers. That smell you get on your fingers? THAT is the essential oil of the plant. 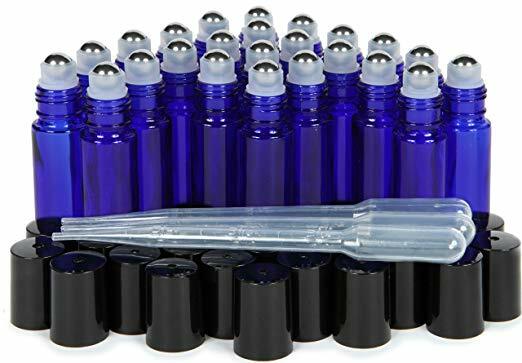 Most essential oils are extracted from plant sources using steam distillation and are highly concentrated, making them far more potent than dried botanicals. Essential oils are volatile, which means that the scent of the oil rises quickly into the air. In humans, they provide support for EVERY SYSTEM in the body: your skeletal system, your muscular system, circulatory system, your muscular system, circulatory system, endocrine system and your hormones, respiratory system and immune system. They support brain health and healthy weight. They are used extensively for emotions and for spiritual support in your prayer life. An oil in a diffuser can soothe a child’s tough day at school and provide a calming effect when you’ve had a stressful day at work. Oils can also be used as an alternative to toxic cleaning chemicals in the home. Have you used essential oils before? 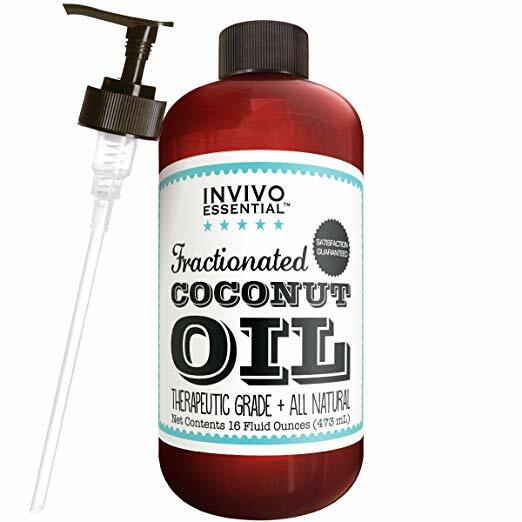 What are some oils that you use the most? Thieves (I mean, of course!! ), Lavender, Cedarwood, Peppermint, Bergamot, Progessence Plus Serum, Endoflex, Gentle Baby (this is my “stress away”) & the Joy blend. Photo used with permission from The Happy Oilers group, an upline of The Crafty Oilers. I am a busy wife & mama of three great kids, four crazy dogs, a couple of cats & a rabbit...I'm just trying to do the very best that I can to keep my busy family healthy. I'm a helper by nature and after three years of slowly realizing the full amazing benefits of Young Living essential oils, it's only natural that I want to help other people realize it too! I am simply here to share some of the wonderful and amazing ways Young Living Essential Oils have helped my family to be healthier and happier! I'm glad you stopped by to visit! Why Order a Young Living Premium Starter Kit?